The Fixer And Mentallo Are Back And The World Will Never Be The Same! 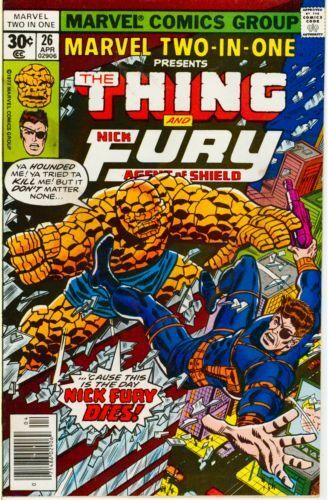 Nick Fury sets up a meeting with the Thing. Mentallo and the Fixer are out in force, and have teamed up to get to Ben Grimm for reasons unknown. Ben and Nick face the pair together, but the Fixer's mind control devices prevent them from stopping the pair. Soon the evil ones use Ben Grimm to gain access to Doctor Doom's time machine in Reed Richards' lab, and bring in reinforcements from the future.